THE best gadget ever to be invented. 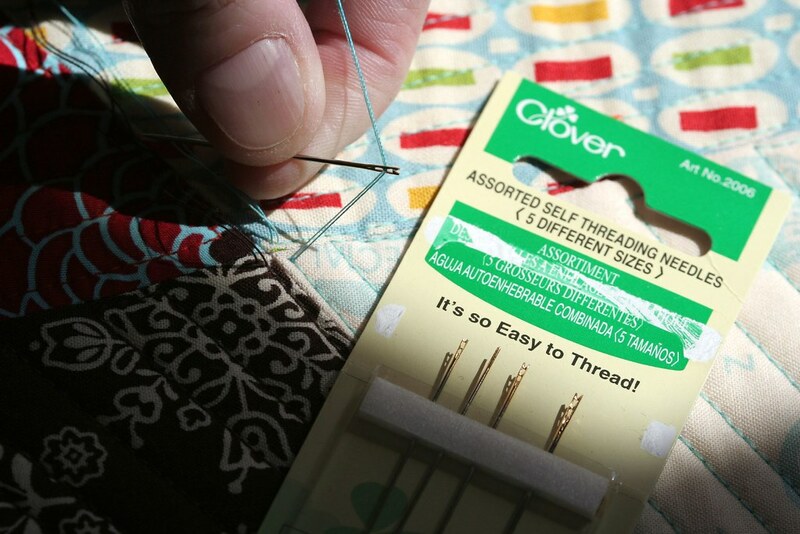 The self-threading needle. I learned about the existence of these handy little helpers from Lisa Call. 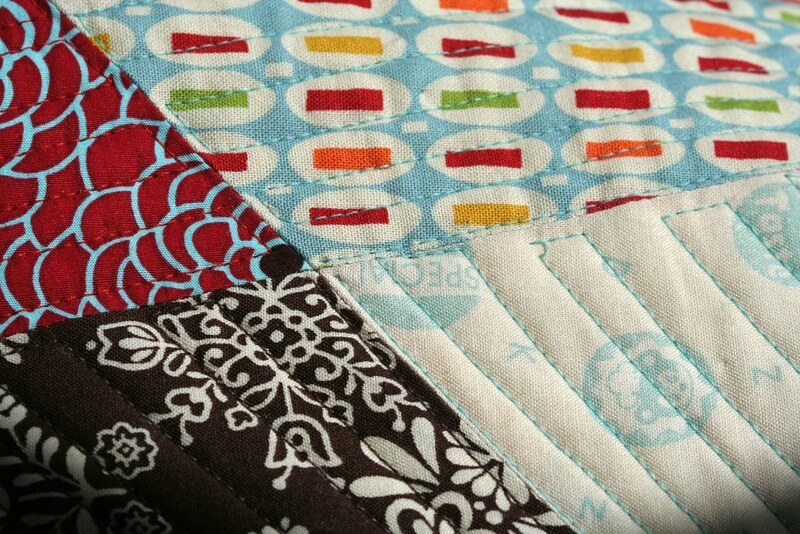 Lisa also did a recent post about bringing all her threads to the top of the quilt and then burying them at the end. I used this technique on Marci’s table runner and I’m a disciple. And if you’re not sure whether you’re a thread burying type or a backstitcher there’s nothing like a little astrological reading to clear things up. Mine was FRIGHTENINGLY accurate.